This webinar has ended. Complete the form below to access the recording. The Georgia International Conference on Information Literacy will focus on sharing research and best methods related to teaching, learning, and assessing essential lifelong learning skills. Whether you’re attending the conference, not going to be able to make it or just interested in information literacy, this webinar is for you. "Drinking Coffee with Undergrads: NonTraditional Approaches to Outreach, Reference Services, and Engagement in an Academic Library Setting"
"Co-Owners in Engaged Learning: Re-imagining the Library-First Year Writing Partnership as a Community of Practice"
Alex completed an MLIS from The University of Alabama’s School of Library & Information Studies in the spring of 2013 and M.A. in History from the University of Arkansas in 2011. After finishing his MLIS, he was offered a position as a Research & Instructional Services Librarian at Amelia Gayle Gorgas Library on the campus of The University of Alabama, and has held the position for a little over three years. He is the library liaison to the College of Human Environmental Sciences, co-liaison to the Department of History, and liaison to the Emerging Scholars Program, an interdisciplinary undergraduate (freshmen) research cohort. 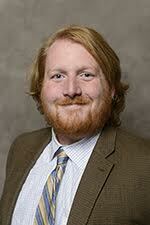 Patrick Rudd is the Coordinator of Instruction and Outreach Services at Carol Grotnes Belk Library, Elon University. His current focus is collaboration with teaching faculty to provide research instruction to first-year students, library assessment, and civic engagement initiatives focused on libraries and young readers. Patrick co-led service learning courses to South Africa in January 2015 and 2016. The service learning project focused on library initiatives at Ekukhanyisweni Primary School in Alexandra, South Africa. James is from Birmingham, Alabama. He received his BA in Russian and Anthropology and his MLS from the University of Alabama. He is been in current position at the University of Alabama since 2014. Paula Patch coordinates the first-year writing program at Elon University, where she teaches writing and language classes in the English department. Her academic interests are writing pedagogy and the material conditions of teaching writing. In addition to teaching and research, Paula serves on the executive board of the Council of Writing Program Administrators. Karlie is a Research and Instructional Librarian at the University of Alabama. She received her MA in History from Jacksonville State University in 2011 and her MLIS from the University of Alabama in 2012. In November of 2013, she joined the Information Services Department at the Amelia Gayle Gorgas Library in her current position. She is also the co-liaison to the Department of History, and liaison to the Department of American Studies and UA’s Honors College. Throughout her career she has been a cataloger, serials and reference librarian. She has led a reference department as well as, established an Information Literacy program from the ground up. 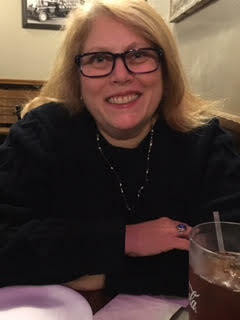 Having attended and presented at the GA Conference on Information Literacy, her particular interests focus on assessment and incorporating threshold concepts into instruction.